In 2017 we again have two main expressions and one Festival one. 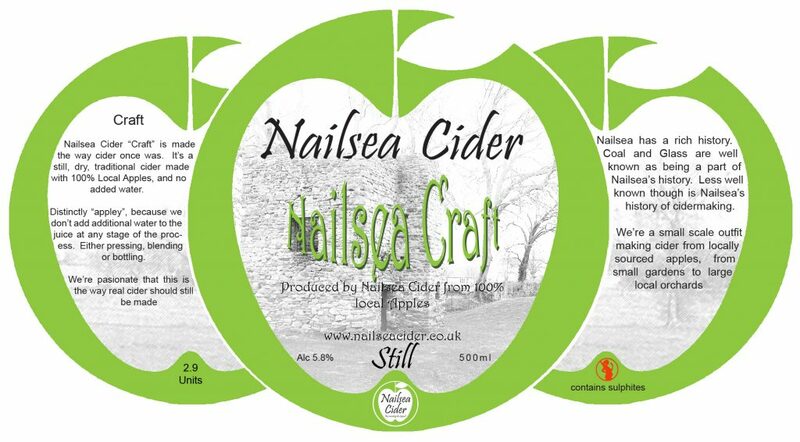 Our Medium Dry cider is still “Craft” to highlight the ethos behind its production. We don’t believe in adding anything un-necessary and so it’s basically Apples and Yeast, and a little something to control the dryness. 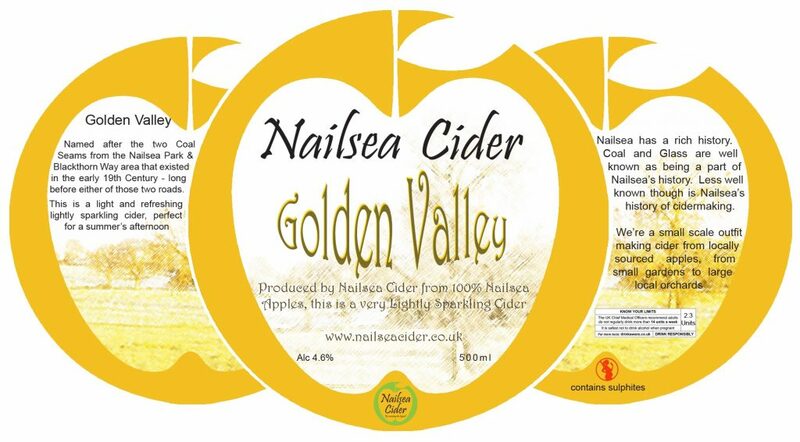 All our ciders are available locally behind the bar in the Ring o’ Bells and at Brockley Stores. This year we’ve updated “Golden Valley”. It’s a bright and sparkling slightly cloudy cider available in bottles. The name comes from the two Nailsea coal pits that were in the North East of Nailsea. You can still see the remains of one of them on the grass next to Nailsea Park and Blackthorn Way – it’s the lump with the bushes growing on it. 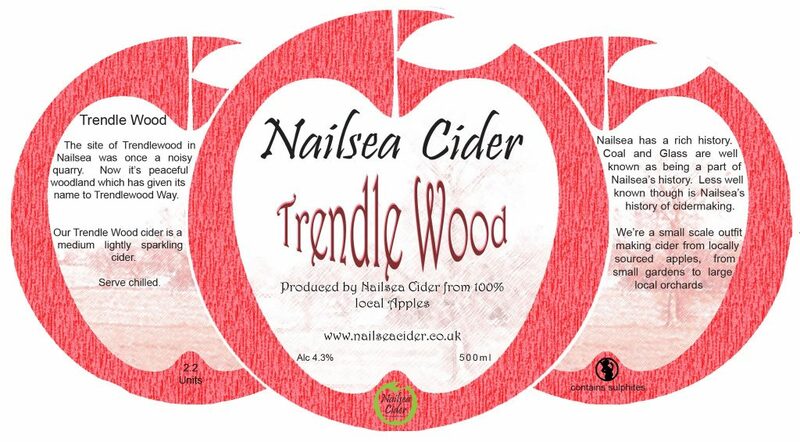 For 2017 we have also produced “Trendle Wood”. Launched at the Trendlewood Festival in Nailsea, on August Bank Holiday. This one is sweeter, clear and bright and sparkling.